A few more notes about Krzysztof Wodiczko’s Homeless Vehicle project that we talked about on Monday. Here is an interview with the artist where he discusses the project in some more detail. Restructuring the familiar shopping cart into these well-designed mobile vehicles helps to alter our perception of their owners from homeless derelict to fellow citizen. The transformation provides a counterpoint to the blind facades referred to by Baudrillard, whose “hidden,” self-reflective eyes; “frosted” building surfaces that obscure the soul beneath the skin; and silent retreat into self-absorption can insinuate themselves into their human occupants, numbing perceptions as they breed indifference. 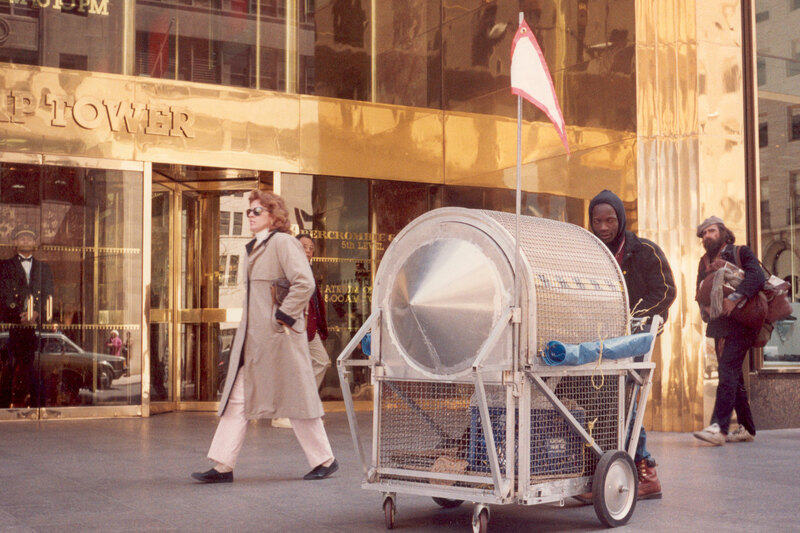 The transformations from shopping cart to vehicle and from derelict to urban dweller penetrate this indifference, transforming perceptions of the homeless population from object to neighbor. And here is the video we watched in class.